As a dog parent, one of my worst nightmares is dognapping. As a result, I’m pretty obsessive about the safety of my own dogs, and I always worry about dog theft when I see dogs tied to bike racks and lampposts outside of coffee shops, grocery stores and other spots around New York City. So, what is dognapping? Why does it happen and are certain breeds or types of dogs targeted? How do you prevent it in the first place? What do you do if it happens to you? Dognappings have increased 31% in recent years. Photography by Pedro Vidal / Shutterstock. Dognappings happen for many reasons and dogs may change hands multiple times after being stolen, which makes them even harder to locate. Thieves often steal dogs hoping to make money off of them. This might be someone looking to collect a reward, or something even more sinister. Intact dogs (canines that aren’t spayed or neutered) may be sold to puppy mills or backyard breeders, small dogs or dogs of popular, expensive breeds might be taken and resold, or dogs may be sold to dog fighting rings either as fighters or bait dogs. According to Pet FBI, some of the top small dogs targeted for cash include purebred Yorkshire Terriers, Pomeranians, Maltese and Chihuahuas, while Pit Bulls, Boston Terriers, German Shepherd Dogs and Boxers fall victim to theft for dogfighting rings. In NYC, there has been a rise of dognappings of small dogs in return for cash. 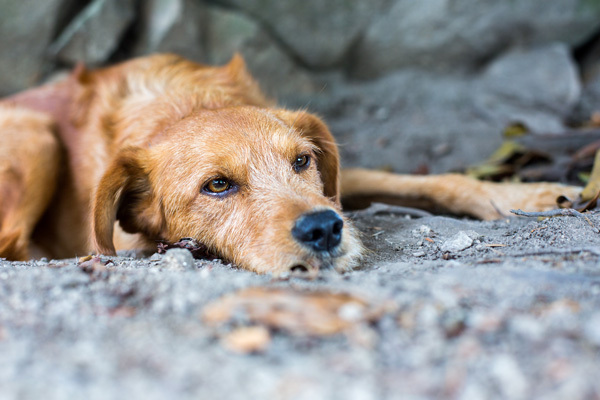 People whose dogs are missing are vulnerable to being taken advantage of even further. I can’t even imagine how desperate I would be if something happened to one of my dogs — I would want to do everything and anything in my power to get them back. The Better Business Bureau warns pet owners to watch out for scam artists who demand reward money before they return the missing dog. For example, someone calling to say they are a long-haul truck driver who found your dog out of state and requesting money to get your dog back to your state, or someone saying they need money for airline tickets and a crate to ship your lost dog back.